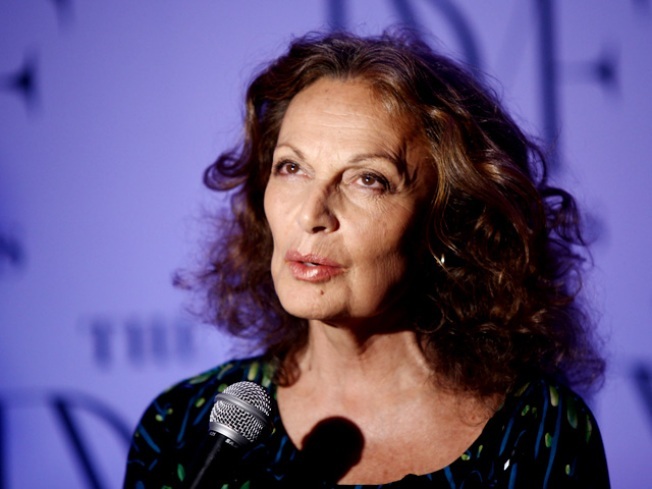 Diane Von Furstenberg, princess of style, gets away from her busy Manhattan lifestyle by coming to Cloudwalk Farm in the Merryall section of New Milford. Last week, she ensured that the she would always have a connection to the land by getting approval to make it her final resting place. During a recent Zoning Commission meeting, town officials decided that it would be OK for the jet-setting design maven to have a family cemetery and a stone meditation garden on the property, the News Times reports. The burial ground for the Belgian-born Nutmegger will be on the southern part of the property, discretely hidden by trees and landscaping, the newspaper reports. It is surrounded by state land and there will be no signs, according to zoning commission documents. This also protects the land from being developed. "The big plus for this property is that it will be kept in its natural state, and that is very appropriate to the area,'' Kathy Castagnetta, a representative from Arthur H. Howland & Associates, said.